Gary’s enthusiasm for his hobby is so engaging that I drove one afternoon from Seattle to a charming little wayside dominated by a classic white church east of Bellingham to see his fire hall in person. The front of the old fire hall, on Mount Baker Highway, houses a Subway sandwich shop, and the back of the hall houses a recycler’s dream woodshop. Gary’s thoughtful use of recycled materials is truly astonishing. 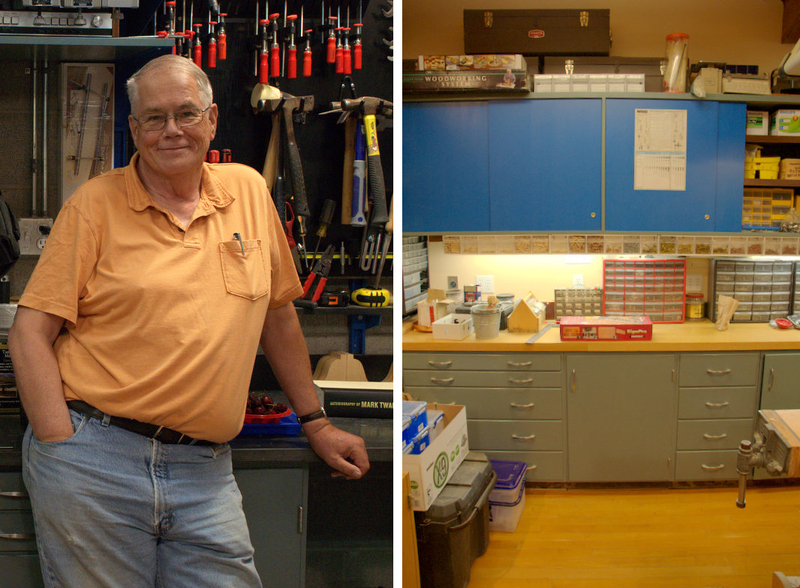 If he hadn’t told me that some of the materials in his shop were pre-used, I never would have guessed it. Some people have a gift for using recycled or repurposed materials in a way that allows their original form to shine through; others have a gift for seeing something brand new in the old. Gary has done both. 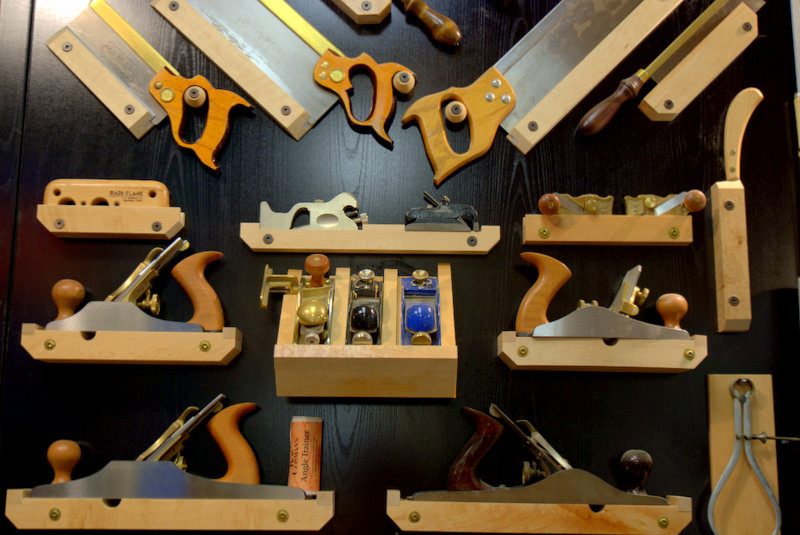 There are several woodworking tool displays in Gary’s shop that look custom made—and, of course, they are: custom made by Gary himself, out of repurposed materials. The flooring was taken from GarfieldHigh School in Seattle, and some of the cabinets are from the University of Washington. 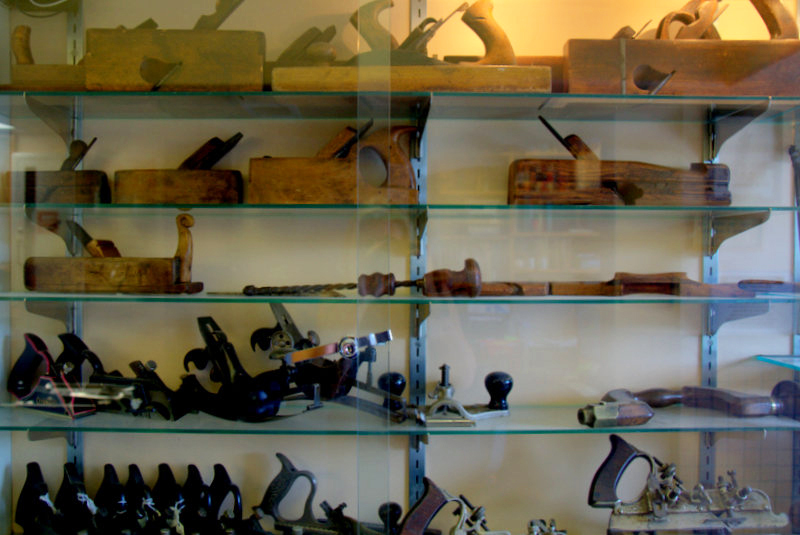 Those, among myriad other items in the shop, all came to Gary by way of The RE Store, while most of the woodworking equipment was purchased at public auctions and rebuilt for a new life in his shop. Gary and his wife, Janet, just celebrated their fortieth wedding anniversary. With the help of friends, they built their first home in Bellevue in the 1970s, and they still reside in the same home today. A testament to his lifelong pursuit, it too, was built with many re-purposed materials. Gary agreed to do this article with the hopes of inspiring others to be creative and use other peoples ‘throw-aways’ in new ways. In other words, he is still a teacher! If Gary has inspired you to make something of your own – check out our DIY tips on our REvision Division page of our website!